- Console with full gauges, fuel, volt, speed, tach, & tilt/trim. 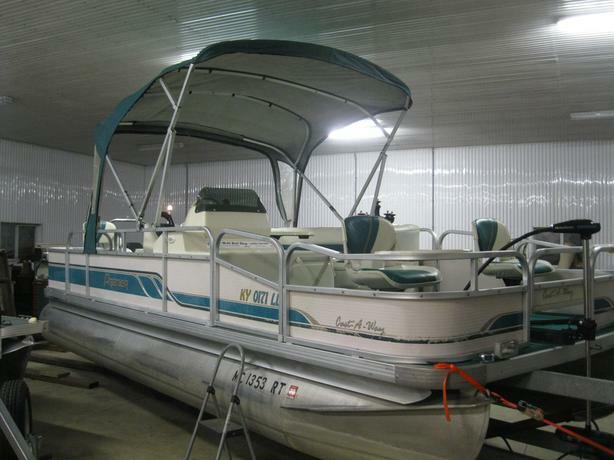 ** This boat is in very good condition and runs great! It is loaded with a lot of bonus extras for fishing & cruising in the spring, summer & fall. We also have a 2018 Excalibur Trailer for sale if you would need a trailer for the boat (trailer not included in this price). This is a excellent deal as they do not usually come fully loaded with all these extras. If you would like to come & check it out give Rick a call at 519-842-5290 in Courtland.